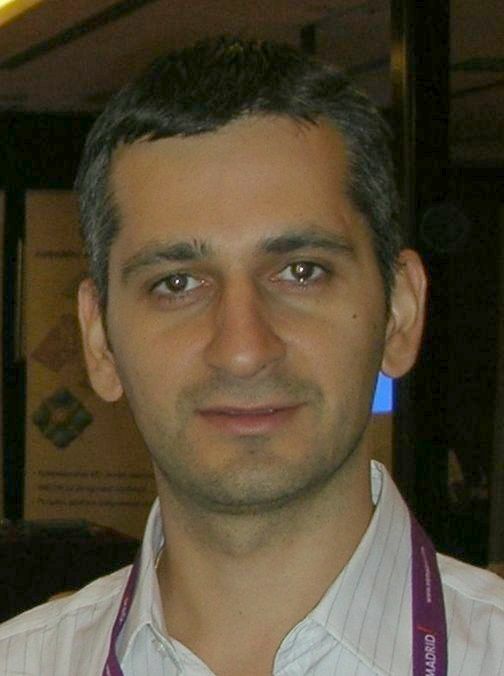 Short CV: Kyprianos Papadimitriou holds a PhD in Electronic and Computer Engineering. His research interests are in the areas of Reconfigurable Computing, Hardware Design, Run-time Systems, Real-Time Systems, Application Acceleration, Reliability, and On-Chip Interconnection. After his undergraduate studies, from March 1998 to June 1999 he worked for DCT Hellas acquired by ATMEL, on hardware design and implementation of wireless protocols. After his M.Sc, from October 2003 to May 2005, he was awarded with a grant for exploiting the outcome of his master thesis through a spin-off company. From September 2011 to November 2014 he worked as a Research Associate at FORTH-ICS. He holds a US patent and has published more than 40 papers in international conferences and journals. He is co-author of a paper nominated for best paper award in the 21st International Conference on Very Large Scale Integration (VLSI-SoC) 2013, and co-inventor of one of the first technologies developed at TU Crete that got patent filing in US in 2005. He has served the program committees of two premier international conferences of his field, the International Conference on Field-Programmable Logic and Applications (FPL), and the International Conference on ReConFigurable Computing and FPGAs (ReConFig), and he is in the review board of several journals of IEEE, Elsevier and Springer. He was session chair in the Workshops of two International Conferences, IEEE CNS and IEEE HPCC. He has participated in several EU and national funded research projects; in one of them he was the Principal Investigator and in another one Technical Manager.